Shadow Gallery's self titled album was released in 1992 in Europe and Japan. ; then issued in limited numbers as a mail order only CD in the US. 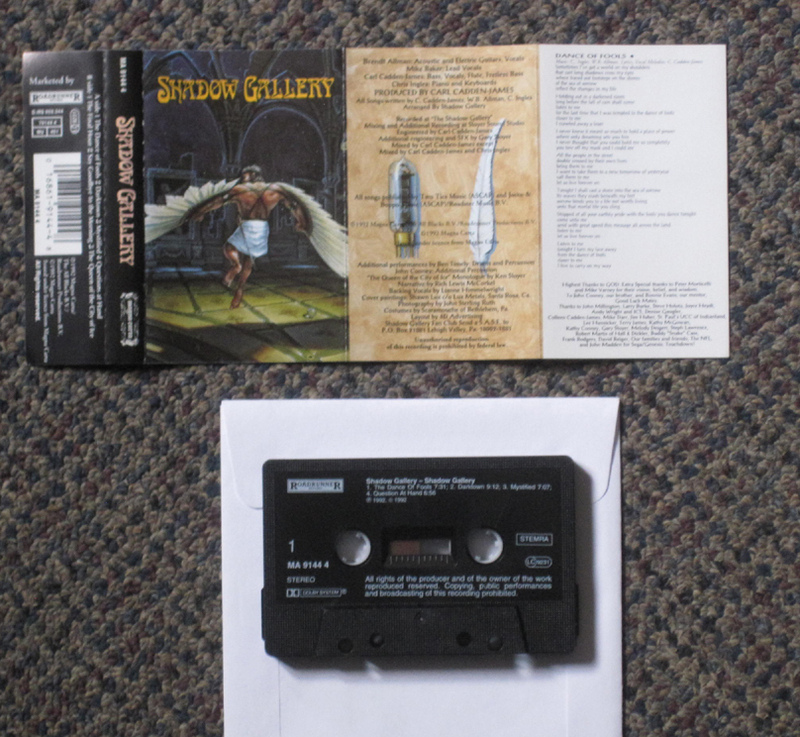 It has been pressed in a long out of print vinyl version on Jigu Records Corp. in Korea; a cassette tape through RoadRunner Records; and as part of the Double Feature series paired with their 2nd album, "Carved In Stone". 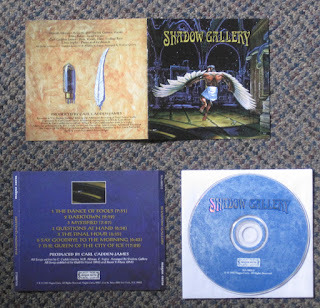 Shadow Gallery made a name for themselves during the early 1990s by helping to create and expand the progressive metal scene. 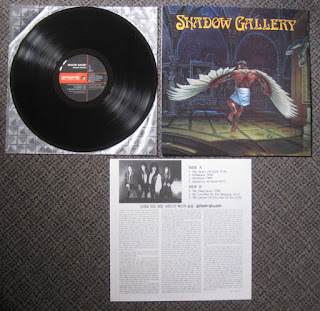 Shadow Gallery derived their name from the now famous "V for Vendetta" graphic novel by Alan Moore. At the time the band chose their name, the novel was relatively unknown in the mainstream, but after it was made into a movie in 2005, it gained a new awareness. If you’ve read any of the press surrounding this band through the years, a lot of attention was paid to their technical skills. 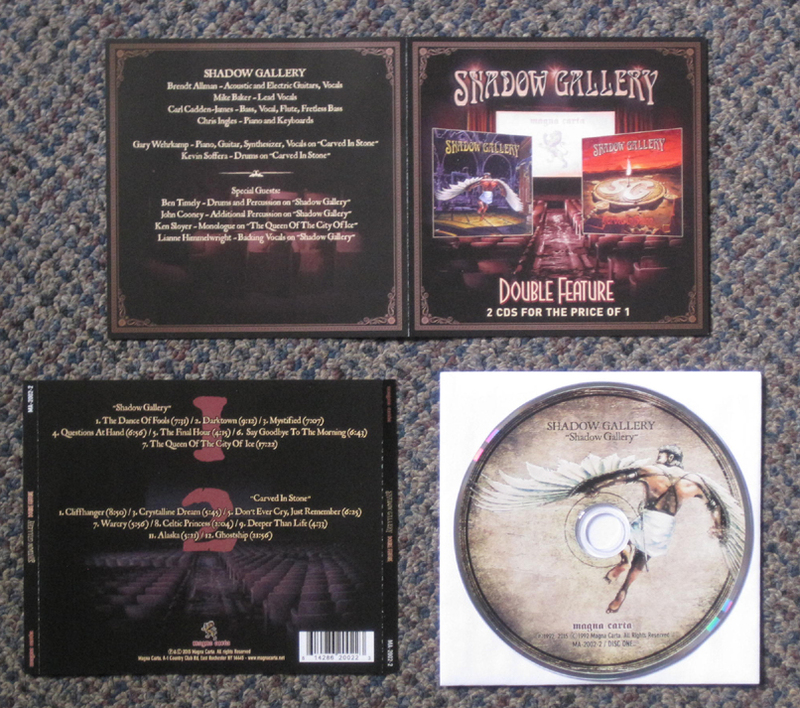 There is no doubt that Shadow Gallery can play their instruments. However, their real craft comes from their ability to create stories within their beautifully melodic music, which allow them to connect with their audience on a deeper level. The band was greatly influenced by the subject matter depicted in V For Vendetta and by the current social climate present in the world today. When the band began writing lyrics for Shadow Gallery it became a major undertaking because they decided to take their cue from writers like Huxley, Orwell, and even Moore. 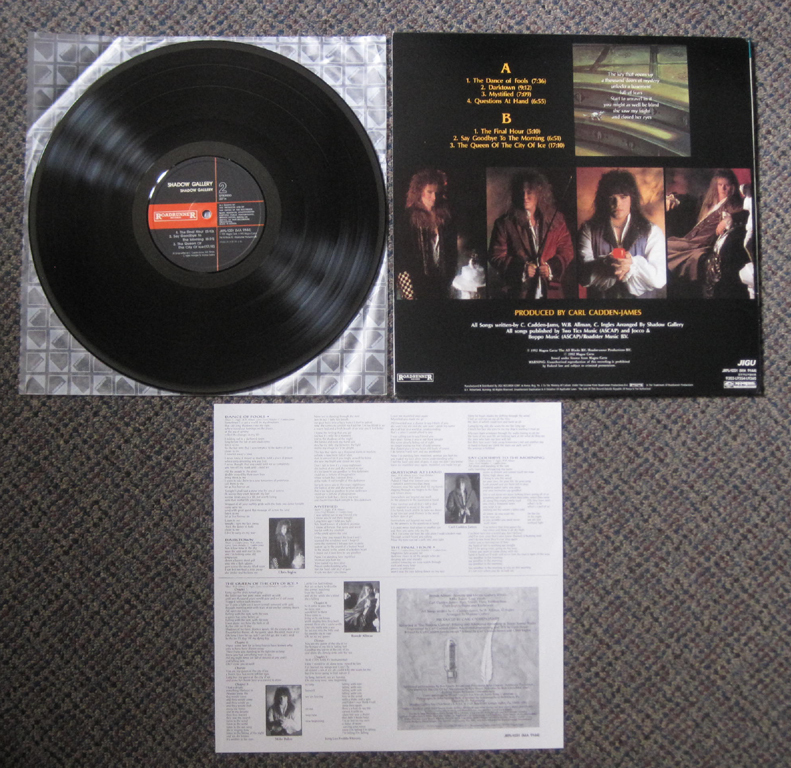 The resulting albums were filled with stories about a society facing very real perils. 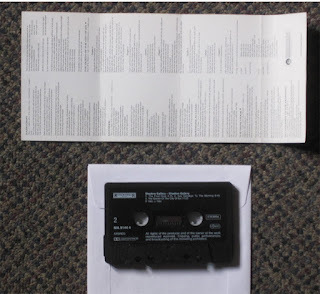 While SG used exaggerations and embellishments to create an interesting story, much of what the lyrics discussed had very real implications that still hold true today and are possibly more important statements now than ever before. 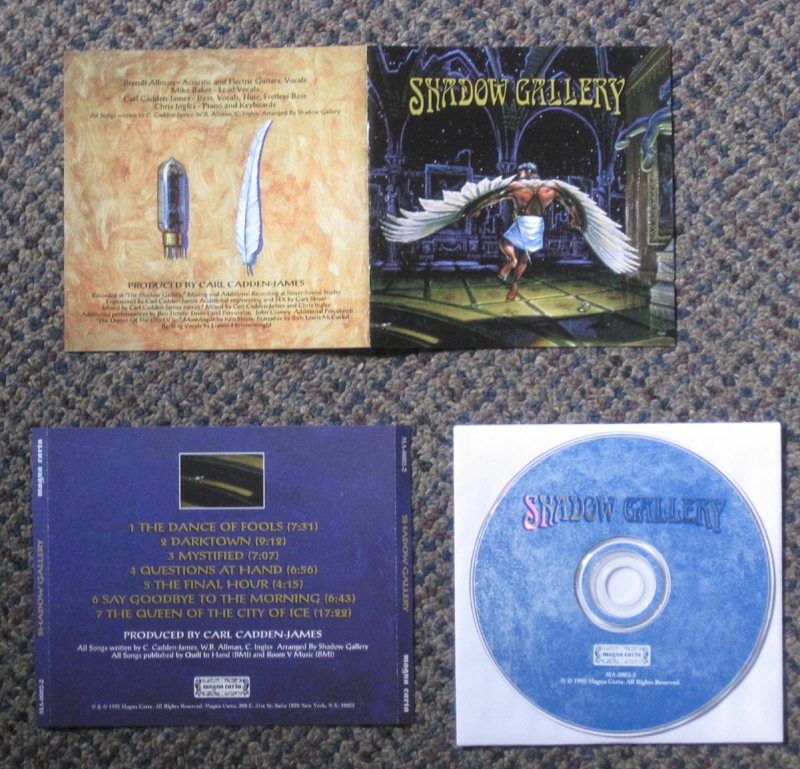 "Shadow's Gallery debut album is an underrated gem that should not be missed by any prog fans. 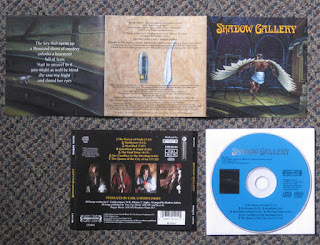 Except the programmed drums, 'Shadow Gallery' is an album full of lively instrumentation. The band functions as a small orchestra playing different themes in harmony with a strong neoclassical timbre. 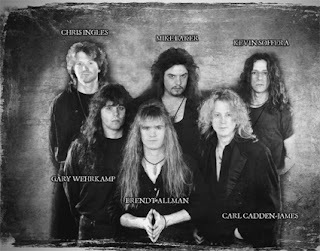 Compared to other progressive albums that came out at the same era, this album has a more softened approach and doesn't rely on fast and complex rhythms too much, although such musical ideas aren't absent. 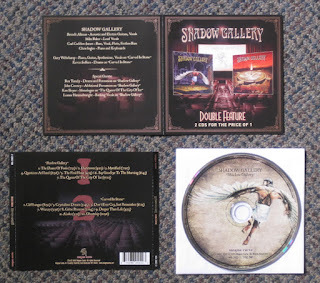 "Shadow Gallery: Double Feature" with "Shadow Gallery" & "Carved In Stone"